We’ve received this image of an advance copy of the upcoming Road & Track issue, and guess what? It has an even better view of the 2014 Corvette’s nefarious smile. Now we have interior and profile shots to boot. And it has a new name. 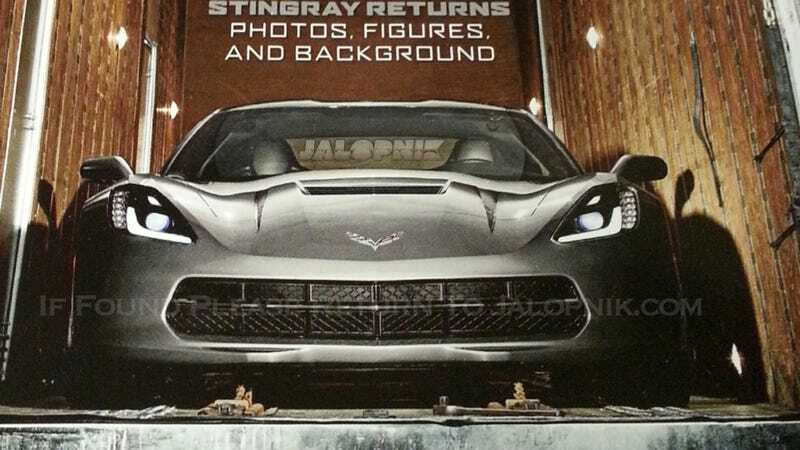 Meet the Stingray. Earlier today we brought you the cover of Automobile that has a grainy view of the car from the back, but this is undoubtedly the best shot yet of the front of America’s next great sportscar. Obviously, our friends at Automobile or Road & Track don’t want us to run these photos, but they’re restricted by embargoes and the realities of printed media in a way we are not. Because magazines exist in a different universe, this is like the December 2016 issue, so what harm could there be in putting the as-of-yet-unseen image on the cover? We’ve gone out of or way not to play the embargo game for this year’s Detroit Auto Show because A: things like this happen and B: we don’t like the idea of keeping what we know from our readers just to please some product planner’s timeline. We work for you, not the automakers. You can see the full thing right here, Sunday night, complete with all the details you can handle. Speaking of details, read more about the technical bits of the new Corvette here and tell us what you think below. UPDATE: More photos from Road & Track’s next issue have leaked out to those crazy kooks in the Netherlands. Here’s the interior and a profile shot. And if you look closely, there is definitely a Stingray on the side of the car.